Argued October 5, 1923. Decided May 25, 1925. CERTIORARI TO THE CIRCUIT COURT OF APPEALS FOR THE SECOND CIRCUIT. 354*354 Mr. Selden Bacon, for petitioner. Mr. Louis S. Posner, for respondent. 357*357 MR. JUSTICE BRANDEIS delivered the opinion of the Court. The Hub Carpet Company was adjudicated bankrupt by the federal court for southern New York in involuntary proceedings commenced September 26, 1921. Benedict, who was appointed receiver and later trustee, collected the book accounts of the company. Ratner filed in that court a petition in equity praying that the amounts so collected be paid over to him. He claimed them under a writing given May 23, 1921 — four months and three days before the commencement of the bankruptcy proceedings. By it the company purported to assign to him, as collateral for certain loans, all accounts present and future. Those collected by the receiver were, so far as 358*358 appears, all accounts which had arisen after the date of the assignment, and were enumerated in the monthly list of accounts outstanding which was delivered to Ratner September 23. Benedict resisted the petition on the ground that the original assignment was void under the law of New York as a fraudulent conveyance; that, for this reason, the delivery of the September list of accounts was inoperative to perfect a lien in Ratner; and that it was a preference under the Bankruptcy Act. He also filed a cross-petition in which he asked that Ratner be ordered to pay to the estate the proceeds of certain collections which had been made by the company after September 17 and turned over to Ratner pursuant to his request made on that day. The company was then insolvent and Ratner had reason to believe it to be so. These accounts also had apparently been acquired by the company after qthe date of the original assignment. The District Judge decided both petitions in Ratner’s favor. He ruled that the assignment executed in May was not fraudulent in law; that it created an equity in the future acquired accounts; that because of this equity, Ratner was entitled to retain, as against the bankrupt’s estate, the proceeds of the accounts which had been collected by the company in September and turned over to him; that by delivery of the list of the accounts outstanding on September 23, this equity in them had ripened into a perfect title to the remaining accounts; and that the title so perfected was good as against the supervening bankruptcy. Accordingly, the District Court ordered that, to the extent of the balance remaining unpaid on his loans, there be paid Ratner all collections made from accounts enumerated in any of the lists delivered to Ratner; and that the cross-petition of Benedict be denied. There was no finding of fraud in fact. On appeal, the Circuit Court of Appeals affirmed the order. 282 Fed. 12. A writ of certiorari was granted by this Court. 259 U.S. 579. 359*359 The rights of the parties depend primarily upon the law of New York. Hiscock v. Varick Bank of N.Y., 206 U.S. 28. It may be assumed that, unless the arrangement of May 23 was void because fraudulent in law, the original assignment of the future acquired accounts became operative under the state law, both as to those paid over to Ratner before the bankruptcy proceedings and as to those collected by the receiver; and that the assignment will be deemed to have taken effect as of May 23. Sexton v. Kessler, 225 U.S. 90, 99. That being so, it is clear that, if the original assignment was a valid one under the law of New York, the Bankruptcy Act did not invalidate the subsequent dealings of the parties. Thompson v. Fairbanks, 196 U.S. 516; Humphrey v. Tatman, 198 U.S. 91. The sole question for decision is, therefore, whether on the following undisputed facts the assignment of May 23 was in law fraudulent. The Hub Carpet Company was, on May 23, a mercantile concern doing business in New York City and proposing to continue to do so. The assignment was made there to secure an existing loan of $15,000, and further advances not exceeding $15,000 which were in fact made July 1, 1921. It included all accounts receivable then outstanding and all which should thereafter accrue in the ordinary course of business. A list of the existing accounts was delivered at the time. Similar lists were to be delivered to Ratner on or about the 23d day of each succeeding month containing the accounts outstanding at such future dates. Those enumerated in each of the lists delivered prior to September, aggregated between $100,000 and $120,000. The receivables were to be collected by the company. Ratner was given the right, at any time, to 360*360 demand a full disclosure of the business and financial conditions; to require that all amounts collected be applied in payment of his loans; and to enforce the assignment although no loan had matured. But until he did so, the company was not required to apply any of the collections to the repayment of Ratner’s loan. It was not required to replace accounts collected by other collateral of equal value. It was not required to account in any way to Ratner. It was at liberty to use the proceeds of all accounts collected as it might see fit. The existence of the assignment was to kept secret. The business was to be conducted as theretofore. Indebtedness was to be incurred, as usual, for the purchase of merchandise and otherwise in the ordinary course of business. The amount of such indebtedness unpaid at the time of the commencement of the bankruptcy proceedings was large. Prior to September 17, the company collected from accounts so assigned about $150,000, all of which it applied to purposes other than the payment of Ratner’s loan. The outstanding accounts enumerated in the list delivered September 23 aggregated $90,000. If this rule applies to the assignment of book accounts, the arrangement of May 23 was clearly void; and the equity in the future acquired accounts, which it would otherwise have created, did not arise. Whether the rule applies to accounts does not appear to have been passed upon by the Court of Appeals of New York. But it would seem clear that whether the collateral consist of chattels 362*362 or of accounts, reservation of dominion inconsistent with the effective disposition of title must render the transaction void. Ratner asserts that the rule stated above rests upon ostensible ownership, and argues that the doctrine of ostensible ownership is not applicable to book accounts. That doctrine raises a presumption of fraud where chattels are mortgaged (or sold) and possession of the property is not delivered to the mortgagee (or vendee). The presumption may be avoided by recording the mortgage (or sale). It may be assumed, as Ratner contends, that the doctrine does not apply to the assignment of accounts. In their transfer there is nothing which corresponds to the delivery of possession of chattels. The statutes which embody the doctrine and provide for recording as a substitute for delivery do not include accounts. A title to an account good against creditors may be transferred without notice to the debtor or record of any kind. But it is 363*363 not true that the rule stated above and invoked by the receiver is either based upon or delimited by the doctrine of ostensible ownership. It rests not upon seeming ownership because of possession retained, but upon a lack of ownership because of dominion reserved. It does not raise a presumption of fraud. It imputes fraud conclusively because of the reservation of dominion inconsistent with the effective disposition of title and creation of a lien. The nature of the rule is made clear by its limitations. Where the mortgagor of chattels agrees to apply the proceeds of their sale to the payment of the mortgage debt or to the purchase of other chattels which shall become subject to the lien, the mortgage is good as against creditors, if recorded. The mortgage is sustained in such cases “upon the ground that such sale and application of proceeds is the normal and proper purpose of a chattel mortgage, and within the precise boundaries of its lawful operation and effect. It does no more than to substitute the mortgage as the agent of the mortgagee to do exactly what the latter had the right to do, and what it was his privilege and his duty to accomplish. It devotes, as it should, the mortgaged property to the payment of the mortgage debt.” The permission to use the proceeds to furnish substitute collateral “provides only for a shifting of the lien from one piece of property to another taken in exchange.” Brackett v. Harvey, 91 N.Y. 214, 221, 223. 364*364 On the other hand, if the agreement is that the mortgagor may sell and use the proceeds for his own benefit, the mortgage is of no effect although recorded. Seeming ownership exists in both classes of cases because the mortgagor is permitted to remain in possession of the stock in trade and to sell it freely. But it is only where the unrestricted dominion over the proceeds is reserved to the mortgagor that the mortgage is void. This dominion is the differentiating and deciding element. The distinction was recognized in Sexton v. Kessler, 225 U.S. 90, 98, where a transfer of securities was sustained. It was pointed out that a reservation of full control by the mortgagor might well prevent the effective creation of a lien in the mortgagee and that the New York cases holding such a mortgage void rest upon that doctrine. The results which flow from reserving dominion inconsistent with the effective disposition of title must be the same whatever the nature of the property transferred. The doctrine which imputes fraud where full dominion is reserved must apply to assignments of accounts although the doctrine of ostensible ownership does not. There must also be the same distinction as to degrees of dominion. Thus, although an agreement that the assignor of accounts shall collect them and pay the proceeds to the assignee will not invalidate the assignment which it accompanies, the assignment must be deemed fraudulent in law if it is agreed that the assignor may use the proceeds as he sees fit. In the case at bar, the arrangement for the unfettered use by the company of the proceeds of the accounts precluded 365*365 the effective creation of a lien and rendered the original assignment fraudulent in law. Consequently the payments to Ratner and the delivery of the September list of accounts were inoperative to perfect a lien in him, and were unlawful preferences. On this ground, and also because the payment was fraudulent under the law of the State, the trustee was entitled to recover the amount. Stackhouse v. Holden, 66 App. Div. 423, is relied upon by Ratner to establish the proposition that reservation of dominion does not invalidate an assignment of accounts. The decision was by an intermediate appellate court, and, although decided in 1901, appears never to have been cited since in any court of that State. There was a strong dissenting opinion. Moreover, the case is perhaps distinguishable on its facts, p. 426. Greey v. Dockendorff, 231 U.S. 513, upon which Ratner also relies, has no bearing on the case at bar. It involved assignment of accounts, but there was no retention of dominion by the bankrupt. The sole question was whether successive assignments of accounts by way of security, made in pursuance of a contract, were had because the contract embraced all the accounts. The lien acquired before knowledge by either party of insolvency was held good against the trustee. Williams v. Ingersoll, 89 N.Y. 508, 518-520; Coats v. Donnell, 94 N.Y. 168, 177. See Rochester Distilling Co. v. Rasey, 142 N.Y. 570, 580; MacDowell v. Buffalo Loan, etc. Co., 193 N.Y. 92, 104. Compare New York Security & Trust Co. v. Saratoga Gas, etc. Co., 159 N.Y. 137; Zartman v. First National Bank, 189 N.Y. 267. Griswold v. Sheldon, 4 N.Y. 580; Edgell v. Hart, 9 N.Y. 213; Russell v. Winne, 37 N.Y. 591; Southard v. Benner, 72 N.Y. 424; Potts v. Hart, 99 N.Y. 168; Hangen v. Hachemeister, 114 N.Y. 566; Mandeville v. Avery, 124 N.Y. 376; Skilton v. Codington, 185 N.Y. 80; Zartman v. First National Bank, 189 N.Y. 267; In re Marine Construction & Dry Docks Co., 135 Fed. 921, 144 Fed. 649; In re Davis, 155 Fed. 671; In re Hartman, 185 Fed. 196; In re Volence, 197 Fed. 232; In re Purtell, 215 Fed. 191; In re Leslie-Judge Co., 272 Fed. 886. Compare Frost v. Warren, 42 N.Y. 204; also Lukins v. Aird, 6 Wall. 78; Robinson v. Elliot, 22 Wall. 513; Smith v. Craft, 123 U.S. 436; Means v. Dowd, 128 U.S. 273; Etheridge v. Sperry, 139 U.S. 266; Huntley v. Kingman, 152 U.S. 527; Knapp v. Milwaukee Trust Co., 216 U.S. 545. Edgell v. Hart, 9 N.Y. 213, 216; Zartman v. First National Bank, 189 N.Y. 267, 270. Russell v. Wynne, 37 N.Y. 591, 595; Southard v. Benner, 72 N.Y. 424, 432; Potts v. Hart, 99 N.Y. 168, 172-173. Southard v. Benner, 72 N.Y. 424, 430; Potts v. Hart, 99 N.Y. 168, 172. Zartman v. First National Bank, 189 N.Y. 267, 270. Zartman v. First National Bank, 189 N.Y. 267, 269. Russell v. Winne, 37 N.Y. 591; Southard v. Benner, 72 N.Y. 424. Potts v. Hart, 99 N.Y. 168, 172. Russell v. Winne, 37 N.Y. 591, 593; In re Leslie-Judge Co., 272 Fed. 886, 888. Field v. Mayor, etc. of New York, 6 N.Y. 179. Smith v. Acker, 23 Wend. 653; Griswold v. Sheldon, 4 N.Y. 580, 590; Edgell v. Hart, 9 N.Y. 213, 218; Conkling v. Shelley, 28 N.Y. 360. The statutes to this effect merely embody the commonlaw rule. But, in New York, an additional statute provides that unrecorded chattel mortgages under such circumstances are absolutely void as to creditors. New York Lien Law, § 230; Laws, 1909, c. 38, § 230, as amended 1911, c. 326, and 1916, c. 348, See Seidenbach v. Riley, 111 N.Y. 560; Karst v. Kane, 136 N.Y. 316; Stephens v. Perrine, 143 N.Y. 476; Russell v. St. Mart, 180 N.Y. 355. See Stewart v. Platt, 101 U.S. 731, 735. Compare Preston v. Southwick, 115 N.Y. 139; Nash v. Ely, 19 Wend. (N.Y.) 523; Goodwin v. Kelly, 42 Barb. (N.Y.) 194. In the case of a transfer of personal property by sale, retention of possession creates a rebuttable presumption of fraud. See Kimball v. Cash, 176 N.Y. Supp. 541; also New York Ice Co. v. Cousins, 23 App. Div. 560; Rheinfeldt v. Dahlman, 43 N.Y. Supp. 281; Tuttle v. Hayes, 107 N.Y. Supp. 22; Young v. Wedderspoon, 126 N.Y. Supp. 375; Sherry v. Janov, 137 N.Y. Supp. 792; Gisnet v. Moeckel, 165 N.Y. Supp. 82. In order to create a valid pledge of tangible personalty, there must be a delivery to the pledgee. In re P.J. Sullivan Co., 247 Fed. 139, 254 Fed. 660. Williams v. Ingersoll, 89 N.Y. 508, 522. Niles v. Mathusa, 162 N.Y. 546; National Hudson River Bank v. Chaskin, 28 App. Div. 311, 315; Curtis v. Leavitt, 17 Barb. (N.Y.) 309, 364; Young v. Upson, 115 Fed. 192. In 1916, Section 230 of the New York Lien Law was amended to the effect that a mortgage, pledge, or lien on stocks or bonds given to secure the repayment of a loan is, if not recorded, absolutely void against creditors unless such securities are delivered to the mortgagee or pledgee on the day the loan is made. See N.Y. Laws, 1916, c. 348. Conkling v. Shelley, 28 N.Y. 360; Brackett v. Harvey, 91 N.Y. 214; Spaulding v. Keyes, 125 N.Y. 113; Briggs v. Gelm, 122 App. Div. 102. See Robinson v. Elliot, 22 Wall. 513, 524; People’s Savings Bank v. Bates, 120 U.S. 556, 561. Young v. Upson, 115 Fed. 192. If it is agreed that the transferor may use the original collateral for his own purposes upon the substitution of other of equal value, the transfer is not thereby invalidated. Clark v. Iselin, 21 Wall. 360 (book accounts); Sexton v. Kessler, 225 U.S. 90 (negotiable securities); Chapman v. Hunt, 254 Fed. 768 (book accounts). Compare Casey v. Cavaroc, 96 U.S. 467. Compare Mechanics’ Bank v. Ernst, 231 U.S. 60, 67. Schaupp v. Miller, 206 Fed. 575; Grimes v. Clark, 234 Fed. 604; Gray v. Breslof, 273 Fed. 526, 527. Mandeville v. Avery, 124 N.Y. 376, 382; Stimson v. Wrigley, 86 N.Y. 332, 338; Dutcher v. Swartwood, 15 Hun (N.Y.) 31. It was cited in Young v. Upson, 115 Fed. 192 (Circ. Ct.); In re Michigan Furniture Co., 249 Fed. 978 (D. Ct.); and in the opinion here under review. The premise of this paper is that the concept of negotiability of promissory notes, which derives in modern law from Article 3 of the Uniform Commercial Code, is not only useless but positively detrimental to the operation of the modern secondary mortgage market. Therefore, the concept ought to be eliminated from the law of mortgage notes. This is not a new idea. More than a decade ago, Professor Ronald Mann made the point that negotiability is largely irrelevant in every field of consumer and commercial payment systems, including mortgages. 1 But Mann’s article made no specific recommendations for change, and no change has occurred. I propose here to examine the ways in which negotiability and the holder in due course doctrine of Article 3 actually impair the trading of mortgages. Doing so, I conclude that these legal principles have no practical value to the parties in the mortgage system, but that they impose significant and unnecessary costs on those parties. I conclude with a recommendation for a simple change in Article 3 that would do away with the negotiability of mortgage notes. You should see these bird houses Mr. Geeai is building. They really are fun. He took me into his shop to show off his work. Lined up on his workbench were a series of seven birdhouses in various stages of construction. My favourite looks rather like the sorting hat from Hogwarts only it is covered in beehive paper. Only from Mr. Geeai. “I checked all eight of my houses on MERS’s own website and I don’t have MERS on any of my mortgages.” He seemed rather pleased with himself. Something didn’t sit right with this news. You see, there are 60MM+ mortgages on the MERS system. Countrywide was one of the worst offenders of the MERS system and Countrywide did bang up business in this area during the hay days. I could see not having one house with MERS on the mortgage, but all eight? Something just didn’t add up. I’m no statistician, but I took enough of it in college to know that there was just something wrong with this information. I explained to him the idea of statistical abnormalities and why it didn’t make sense that all of his houses should not be in the system. Then I asked him if I could take his tax information, go to the courthouse and do a little title search of my own on his behalf. I knew he wouldn’t, and I knew something was wrong. He heartily agreed with this idea and was well pleased he was going to get the information without having to deal with the courthouse. So he gave me the information on his eight houses and I left. As work was awaiting me, piling up, actually, I wasn’t able to get to the courthouse until later that afternoon. I finally got to the recorder’s office about 4:30. I had to get help finding what I was looking for and I ran out of time before I was able to look up all eight properties. MERS was on four out of the four I was able to find before I was kicked out. So I showed him the printouts and where the Mortgage Identification Numbers (MIN) was. Mr. Geeai was not pleased with the information. “Now what do I do?” he asked? He looked at me for a few moments. I could tell his mind was ticking as he weighed information and possible consequences of various courses of action. “What’s up? I asked. He shook his head. “I don’t like it,” he said. Mr. Geeai did not respond. He just looked at me. And then he looked at the papers I had handed him. Mr. Geeai just looked at me. I started to leave. “I hate you” he called out in a friendly voice as I let myself through his back gate. “I know,” I called back. I was told “I haven’t seen anything yet” stay tuned folks this is going to get interesting! JACKSONVILLE, Fla., April 5 /PRNewswire-FirstCall/ — Lender Processing Services, Inc. (NYSE: LPS), a leading provider of integrated technology and services to the mortgage industry, today provided clarification to a recent article published by the Wall Street Journal. As indicated in LPS’ most recent Form 10-K, filed in February 2010, LPS reported that during an internal review of the business processes used by its document solutions subsidiary, the Company identified a business process that caused an error in the notarization of certain documents, some of which were used in foreclosure proceedings in various jurisdictions around the country. The services performed by this subsidiary were offered to a limited number of customers, were unrelated to the Company’s core default management services and were immaterial to the Company’s financial results. LPS immediately corrected the business process and has completed the remedial actions necessary to minimize the impact of the error. LPS subsequently received an inquiry relating to this matter from the Clerk of Court of Fulton County, Georgia, which is the regulatory body responsible for licensing the notaries used by the Company’s document solutions subsidiary. In response, LPS met with the Clerk of Court, along with members of her staff, and reported on the Company’s identification of the error and the status of the corrective actions that were underway. LPS has since completed its remediation efforts with respect to all of the affected documents and believes the Clerk of the Court has completed its review and closed the matter. As stated in the Company’s Form 10-K, the U.S. Attorney’s office for the Middle District of Florida is reviewing the business processes of this subsidiary. LPS has expressed its willingness to fully cooperate with the U.S. Attorney. LPS continues to believe that it has taken necessary remedial action with respect to this matter. LPS is a leading provider of integrated technology and services to the mortgage industry. LPS offers solutions that span the mortgage continuum, including lead generation, origination, servicing, portfolio retention, risk management and default, augmented by the company’s award-winning customer support and professional services. Approximately 50 percent of all U.S. mortgages are serviced using LPS’ MSP. LPS also offers proprietary mortgage and real estate data and analytics for the mortgage and capital markets industries. For more information about LPS, please visit www.lpsvcs.com. 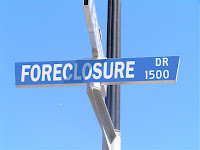 CHICAGO (Reuters) – A unit of Lender Processing Services Inc, a U.S. provider of paperwork used by banks in the foreclosure process, is being investigated by federal prosecutors, the Wall Street Journal reported on Saturday. Citing people familiar with the matter, the newspaper said a government probe into the business practices of the LPS unit was “criminal in nature.” According to the report, the probe was disclosed in LPS’s annual report in February. The subsidiary being investigated is Docx LLC, which processes and sometimes produces documents used by banks to prove they own mortgages, the report said. According to the report, among Docx documents being reviewed was one that incorrectly claimed an entity called “Bogus Assignee” was the owner of the loan.